In the month of March, Eastridge Workforce Solutions kept busy celebrating the successes of astounding employees, supporting stellar nonprofit organizations, and educating students on today’s job market. 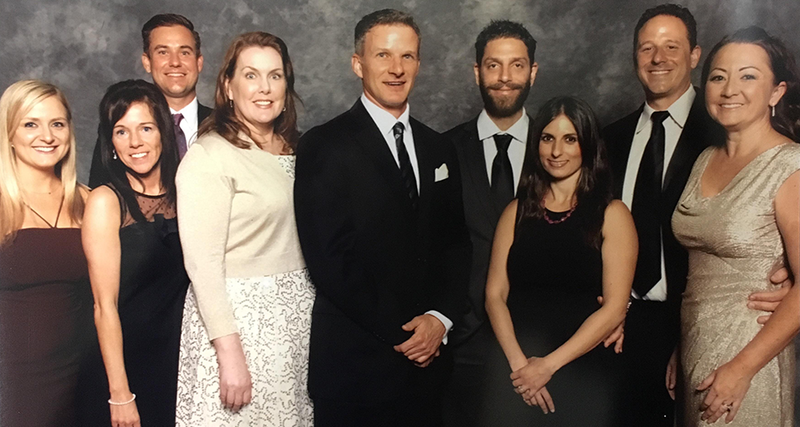 Members of Eastridge’s Legal Division in San Diego attended the 15th Annual Black & White Ball on March 5, 2016 at the Manchester Grand Hyatt in Downtown San Diego. Eastridge's Legal Division in San Diego attends the 15th Annual Black & White Ball. Pictured from left to right: Cassie Galiskis (Eastridge Legal Division), Abigail Parente (Eastridge Legal Division), Bobby Galiskis (Guest), Rebecca Greene (Guest), Mark Hanna (Eastridge General Counsel), Boaz Kalaei (Guest), Sarah Kalaei (Eastridge Corporate Counsel), David Hough (Eastridge Legal Division), Melissa Hough (Guest). This year, the San Diego Chapter of ACC (Association of Corporate Counsel) selected STAR/PAL as the beneficiary of the event’s fundraising efforts, setting a goal of raising $50,000 for the group. STAR/PAL is a nonprofit organization that is dedicated to providing over 10,000 youth services annually in the inner-city neighborhoods throughout the city and county of San Diego, to help youth make positive choices for a brighter future. Allyson San Agustin was promoted from Junior Recruiter to Account Manager and part-time onsite for a medical device client. Thanks for all of your hard work Allyson! 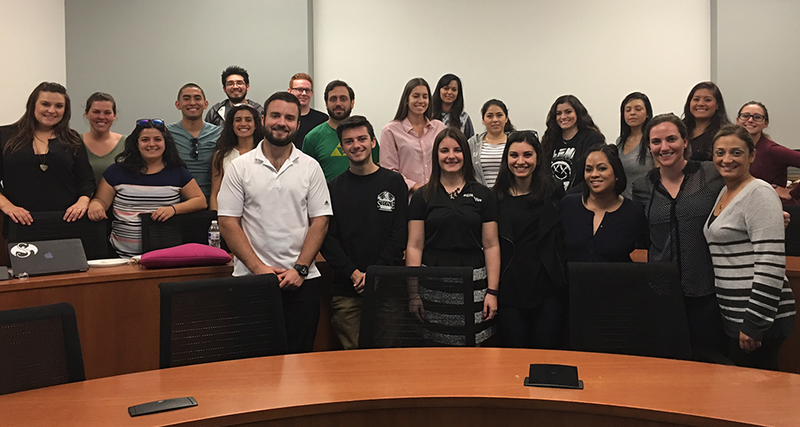 Laura LaManna, Area Manager of the Manufacturing & Distribution Division, with business students from California State University San Marcos. Laura LaManna, Area Manager of the Manufacturing & Distribution Division spoke to graduating business students at California State University San Marcos. Laura discussed the upcoming job market and shared ways to best prepare for the hiring process. Thanks Laura for doing such a great job representing Eastridge! Cynthia Hendrix was promoted to Operations Supervisor for the Carlsbad branch. Cynthia started as an Administrative Assistant and through her dedication to Eastridge and commitment to her own development, she was promoted to Account Manager, then Senior Account Manager, and now Operations Supervisor. Congratulations Cynthia! Read our latest blog posts or see what we’ve been sharing this past month on our LinkedIn, Facebook, and Twitter.